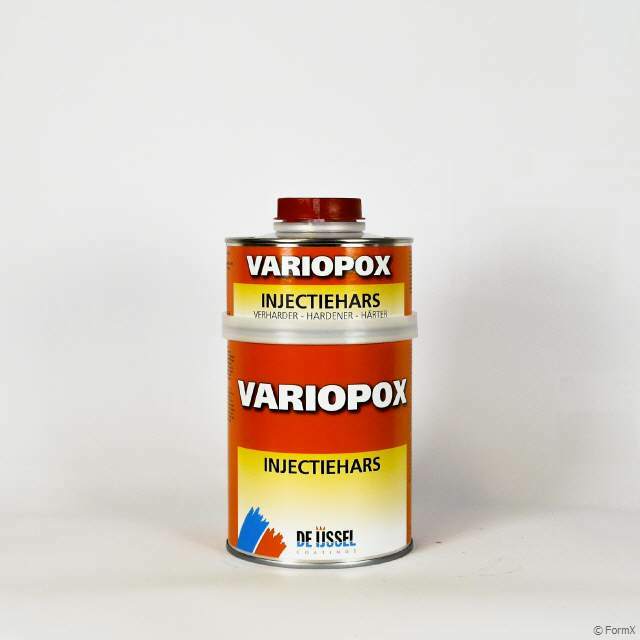 Variopox Injection resin is a high-quality two-component epoxy primer. Apply as first layer on absorbent surfaces, also under the waterline. Contains no solvents. • Also available in large packaging for machine dosage. Other surfaces: free of old paint layers, oil, grease, and loose parts, preferably treated with IJmopox ZF primer or Variopox Injection resin. A minimum temperature of 15 ºC is permitted during application and hardening. The the temperature of the substrate must be at least 3 ºC above the dew point. Mix the components intensively before use. Only create an amount that can be processed within the processing time to be applied.